A repeating pattern of mixed crystal colors and shapes featuring an oval cut crystal in the middle. The lobster clasp and extender chain make the bracelet easy to adjust to your desired length. 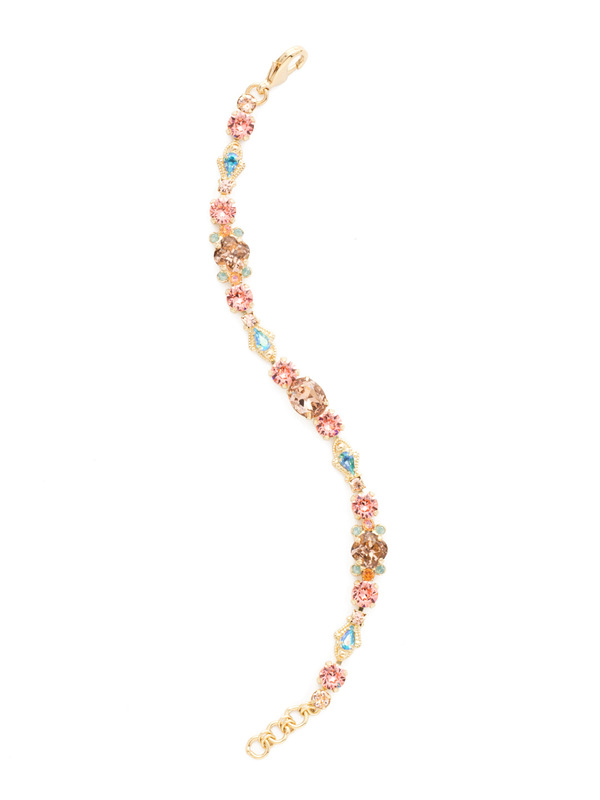 This classic line bracelet is elegant and eclectic. It's a great stand alone piece or can be worn as a fashion statement, mixing it with other bracelets.